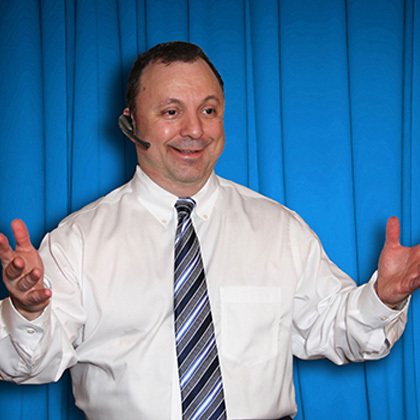 Joe Love’s unique teaching style provides fast moving, informative, and enjoyable seminars and workshops on the subjects of spirituality, working with spirit guides, your soul’s purpose, six sensory living, manifesting your desires, chakra balancing, and nutritional health. Each topic will present the audience with a series of highly effective principles, techniques and meditations that can be applied immediately to embark on a new way of thinking and being. From interactive workshops to training seminars, Joe will provide you with a customized program specifically designed to meet your needs. Your body has seven spiritual centers, called chakras, which need to be balanced in order for your life to be balanced. Each chakra corresponds to certain physical, emotional and psychological needs. And if a chakra is out of balance, all kinds of symptoms can occur, ranging for low self-esteem to fearfulness to a lack of faith. In this down-to-earth spiritual workshop program, Joe teaches how to bring your chakras into balance so that you can worry less, enjoy life more, and come from a place of power and love more frequently. The program includes a special guided meditation. The spiritual road of life is fraught with obstacles and false paths. Even more difficult is achieving your material goals and desires – financial independence and professional advancement – while maintaining your spiritual backbone. In this exciting and transformational spiritual workshop program Joe gives you easy to apply and highly effective principles and techniques which will help to unfold the higher power in your life. You will know exactly what you want out of life. You will be able to quickly and confidently eliminate all obstacles blocking the path to your life’s purpose. You will make the right decisions without ever second-guessing. All forces in your life will be directed towards living your true purpose in life. You will receive the Universe’s divine help in everything you undertake. You will learn how to guard your life’s purpose from the destructive winds of opinion and self-doubt. Whether your life’s purpose is vividly in your imagination, or a hazy, silent longing without shape or form; this program will lead you from where you are to where you want to be. All people are endowed with an amazing psychic ability. This natural gift can give us the power to expand our awareness, reconnect to our Higher Intelligence, and discover the personal voice of our soul. In this visionary and energizing program, Joe Love will show you how to reclaim the greatest personal power of all-the power to choose wisely and reap the rewards of a life lived with direction from a higher knowledge. Beyond logic, beyond the ordinary, exists a whole world of Higher Knowledge just waiting to be tapped, in this program you will finally unravel the secret mysteries of your mind and use the discoveries to create a life of immeasurable spiritual freedom and fulfillment. We’re all spiritual beings with a spiritual support system on the Other Side that overseas and helps guide our lives from the moment we leave our physical bodies and return to spirit. In this fascinating and inspirational program Joe Love will show you how to unlock the door to a whole new way of thinking one that enables you to enjoy and endless stream of love, abundance, and joy. How the Universe is designed to care for and nurture all its creatures and help make our life’s journey easier and more successful. How to recognize the presence of your own beautiful spirit and how to continuously feed it. How to connect with your angelic guides to help your life fall into a pattern of ease and flow which grow our souls, fulfill our life’s purpose, and make our time on Earth endlessly entertaining. The many levels of guides, nonphysical entities, and energies in the spirit world and how to communicate with them. How to gradually raise your sensitivity to the spirit world in a natural way. A four-step process to ensure good rapport and communication with your guides. You’ll be led through a series of guided meditations created specifically to help you get in close touch with your spiritual guides. Creating a mind and body that are not in conflict and how to to deal with stress. Learning how to identify and root out the underlying cause of imbalance in your life. Simple changes you can make that will immediately change your body for the better. How to halt and begin to reverse the metabolic aging process. Banishing fat more effectively and how to combat weight gain. This exciting interactive program will change your whole life and create the life of your dreams. The embodiment of this program contains the great secret to peace and personal power. It is simply the principle of forgiveness. You deserve to be happy, to have a wonderful, joyous, and fulfilling life. If you’re not experiencing that, something inside is blocking it. Joe gives you six powerful tools to guide you on the road to total forgiveness. • You will be able to let go of the past and embrace the present. • You will have the courage to forgive yourself and others. • You will reclaim your power by letting go of hate and resentment. • You will learn how to practice Total Unconditional Acceptance. • You will free up enormous positive energy to create the life of your dreams. • You will be able to let go of fear, condemnation and judgment and awaken to the existing enlightenment that is already in and around you. This program will help and support you on your ongoing spiritual journey to create the life you really want, one that is filled with peace, fulfillment, inner-happiness and love. To book Joe for a seminar, workshop or other event or please contact us at: 866-212-0608 or email us at: info@joeloveiw.com to tell us a little bit more about what you are looking for.